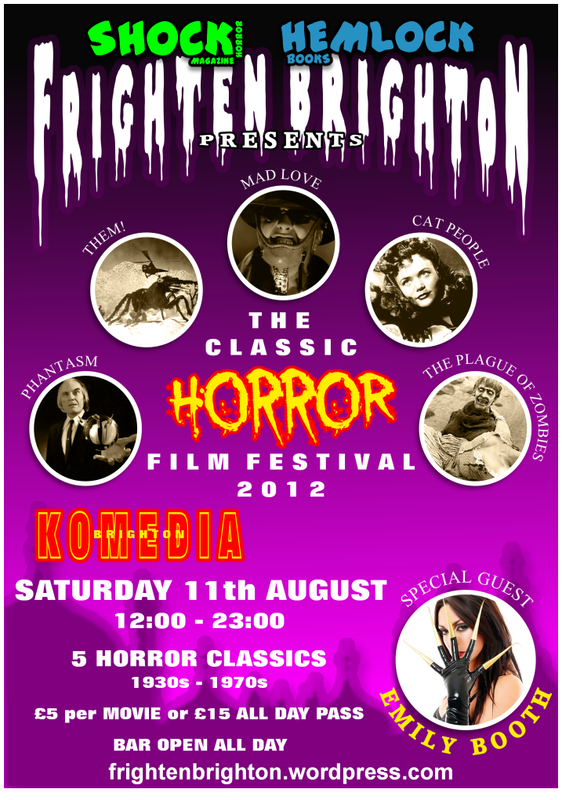 If This Film Doesn’t Scare You…You’re Already Dead! 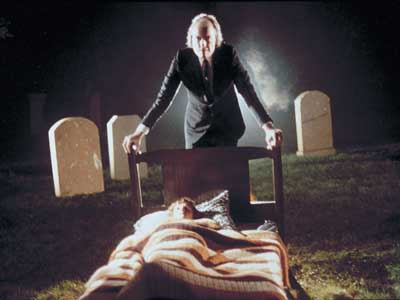 Phantasm (1979) is a cult horror which sticks two fingers up at the classic period-set horrors of the past few decades and rushes headlong towards the gory special-effects filled eighties with a youthful exuberance. 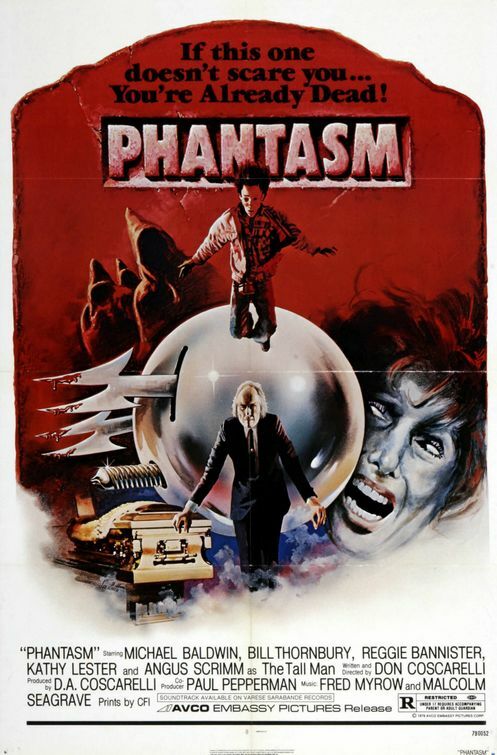 Another firm favourite with the horror crowd Phantasm rounds off the Frighten Brighton Classic Horror Film Festival all-day movie marathon in style! 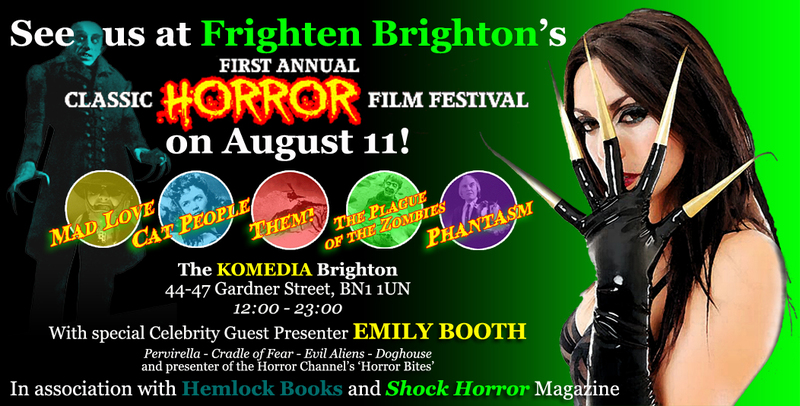 So join our sponsors Hemlock Books and Shock Horror Magazine and scream queen Emily Booth tomorrow, Saturday 11th August for FRIGHTEN BRIGHTON 2012!!! Don’t delay, book today….all-day passes are now almost SOLD OUT!!! You will also get the chance to buy personally signed 8×10 glossy photographs of the lovely Emily, so be there…and be scared! 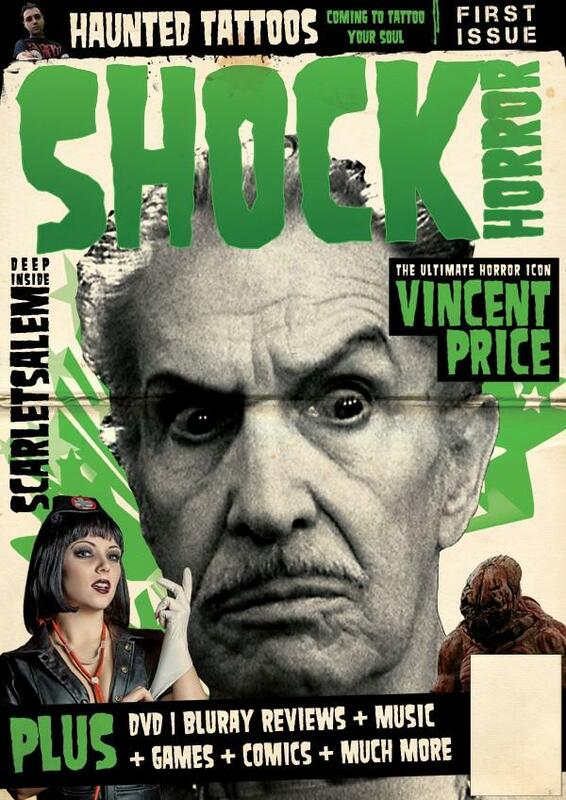 A fun fright flick from Hammer’s later years starring the excellent Shane Briant and legendary Peter Cushing. 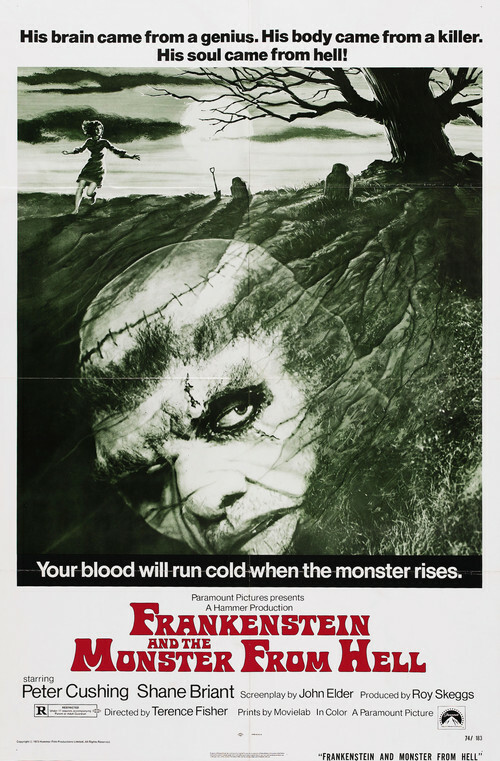 Frighten Brighton is pleased and proud to present this underrated classic in our December 3rd horror triple bill!